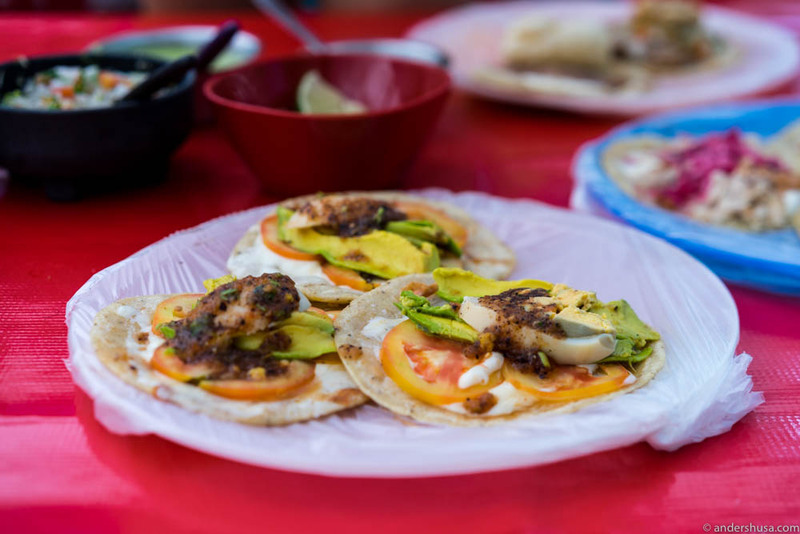 When in Tulum … you eat tacos, of course. I mean, what else is there to do? Ok, besides laying on the beach, relaxing in the sun, and going for a swim, tacos are the only other thing on your mind. Where can I get it? When can I get it? How many can I get? 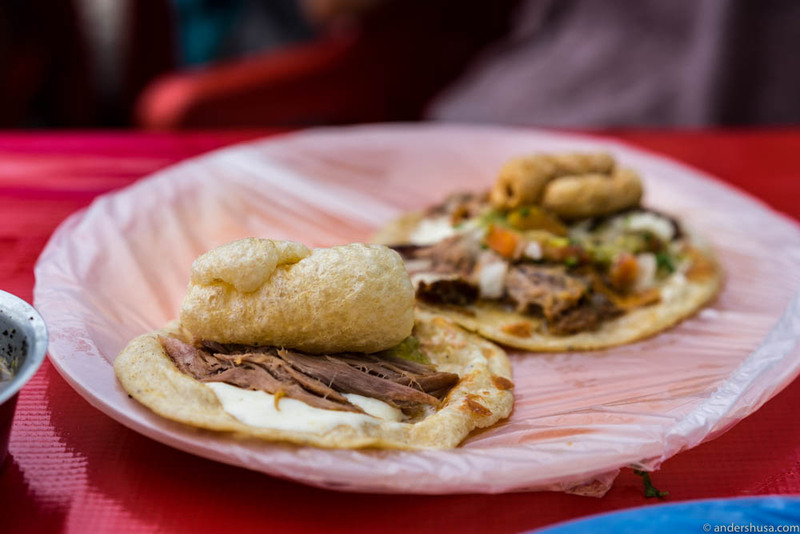 Obviously, you want to know where you can find the best tacos in Tulum. The short answer to that is Taqueria Honorio. A simple, no-frills, roadside restaurant sporting plastic lawn furniture. We went there and ate our way through a large part of the menu (tacos are 15 pesos each), and they were simply in a league of their own. The tortillas are fresh and served hot, but it’s the meat that makes them so special. 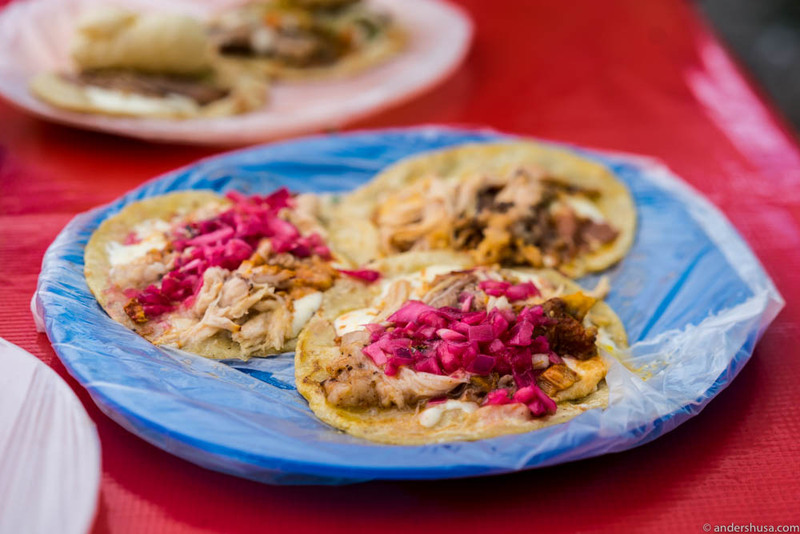 Lechón and cochinita pibil are the house specialties. The latter is a pit-cooked, slow-roasted pork, which is seasoned with sour oranges and achiote. Basically, what they do at Taqueria Honorio, is to dig a big hole in the ground. 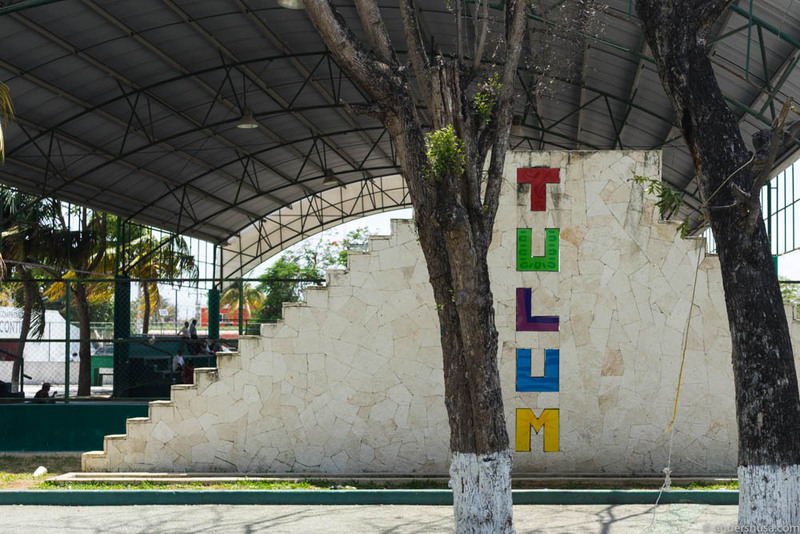 The meat is actually prepared 7 kilometers outside of Tulum town. In the hole goes burning hot coal, followed by the pig, which is then covered in branches, sheets of tin, and, finally, ash and dirt to hold in all the heat. 12 hours later and, boom, it’s done! This is 5 AM in the morning. Back at the restaurant, you order your tacos with cheese (con queso) and pickled red onions. They are served on plastic-wrapped plates. Condiments are on the table. It’s oh, so delicious! Taqueria Honorio is actually a breakfast place for the locals. The official opening hours are 5.30 AM (once the meat arrives) until 2 PM. Unofficially, though, the place doesn’t close until they sell out. In fact, we spoke to a lot of folks who had been here eating late-night tacos. 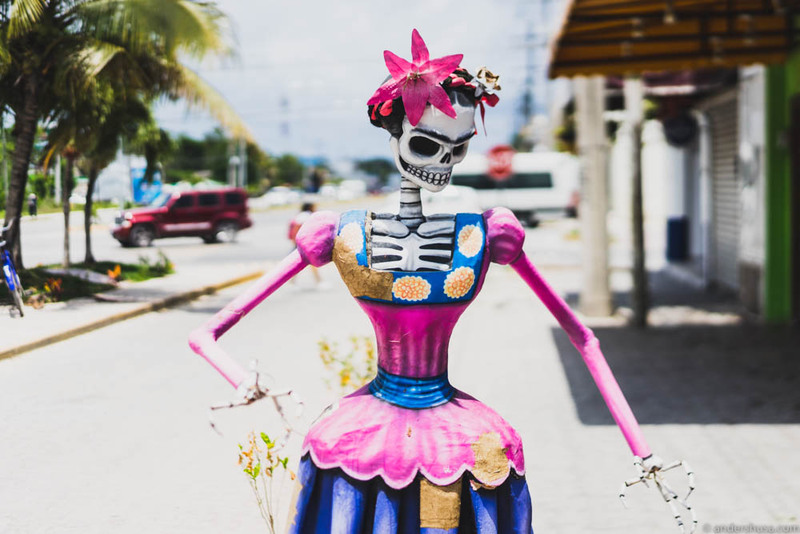 Much of the reason we ended up at Taqueria Honorio in the first place is thanks to the wonderful staff at Noma Mexico, who, during their three-months-long stay, talked to the natives and found the best spots in town for great Mexican street food. Special thanks to Arve and Katherine, whom I already included in my guide of 15 foodies you have to follow on Instagram. My job is always easy when they have been to an area before me. That gave me more time for the aforementioned beach activities. Taqueria Honorio can be difficult to find, but if you use my map of Tulum it’s easy. Happy taco hunting! 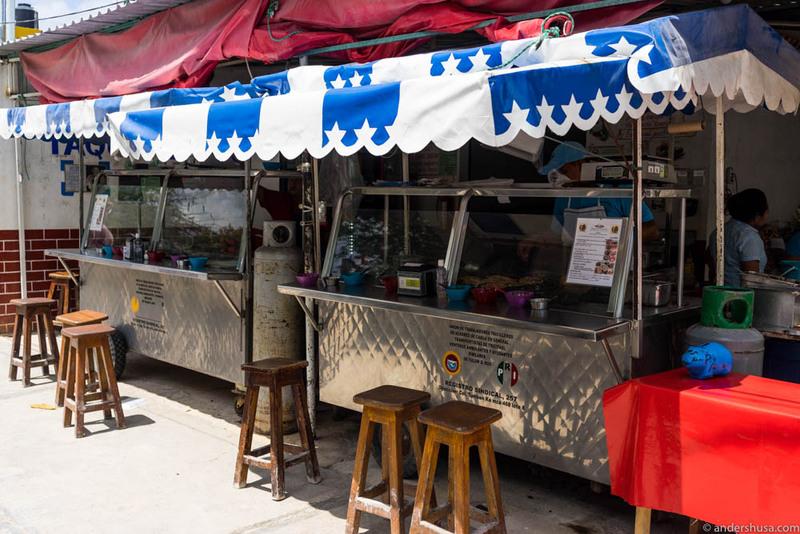 Have you discovered other amazing taco spots in Tulum? Please, share with me and my readers in the comments below.